In the era of big data, the quality of services any organization provides largely depends on the quality of their data-driven processes. In this context, the goal of process data science, is to enable innovative forms of information processing that enable enhanced insight and decision making. For example, consider the data-driven and knowledge-intensive processes in Australian government’s office of the e-Safety commissioner, where the goal is to empowering all citizens to have safer, more positive experiences online. An example process, is to analyze the large amount of data generated every second on social networks to understand patterns of suicidal thoughts, online bullying and criminal/exterimist behaviour. Current processes leverage machine learning systems, e.g., to perform automatic mental-health-disorders detection from social networks. 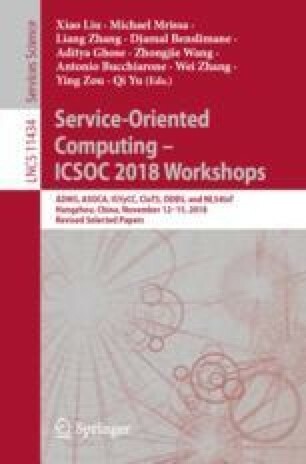 This approach is challenging for knowledge workers (end-user analysts) who have little knowledge of computer science to use machine learning solutions in their data-driven processes. In this paper, we present a novel platform, namely iSheets, that makes it easy for knowledge workers of all skill levels to use machine learning technology, the way people use spreadsheet. We present and develop a Machine Learning (ML) as a service framework and a spreadsheet-based ML development platform to enable knowledge workers in data-driven processes engage with ML tasks and uncover hidden insights through learning in an easy way.